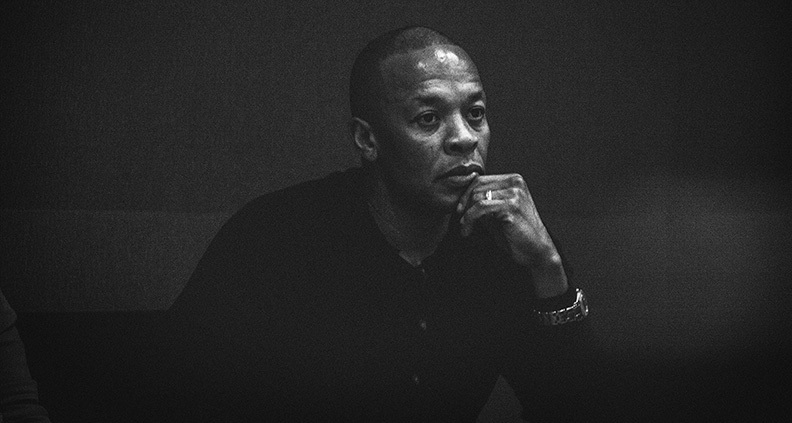 The HBO docu-series The Defiant Ones celebrates the iconic partnership between music industry legends Dr. Dre and Jimmy Iovine. But despite telling the story of two of music’s most successful rebels there was a surprisingly wily set of rules put in place to make the project a reality. 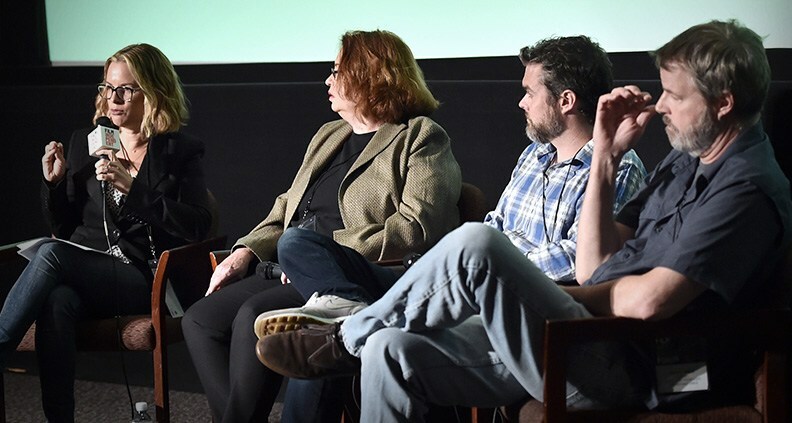 At last weekend’s 2017 Film Independent Forum, the production team behind the writing, editing, licensing and legal concerns for The Defiant Ones formed a panel to discuss the balance of creativity and legal fastidiousness required to make the series—which features over 3,700 copyrighted elements. 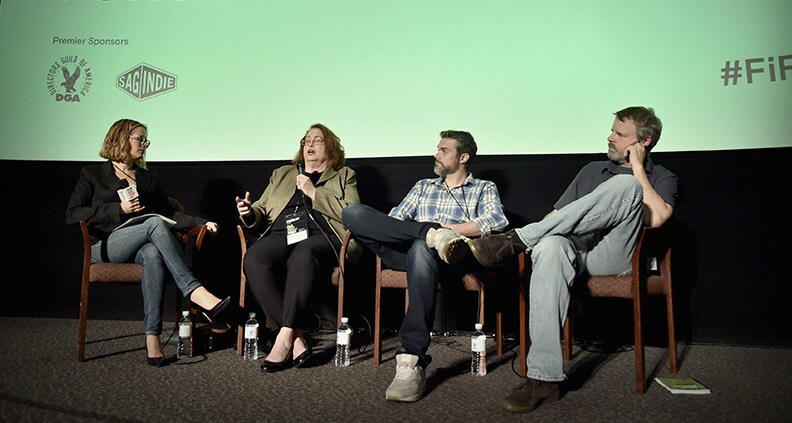 Moderated by entertainment attorney Lisa Callif, the panel included executive producer Doug Pray, Archival Producer Ryan Gallagher and Barbara Gregson, who managed the licensing process. None of them knew what they were getting themselves into when they took on what was originally meant to be a 90-minute film. But after three years and a final cut running 260 minutes in length, the team agreed it was a hugely satisfying experience—albeit an emotionally challenging one. We got to listen in as they swapped stories and celebrated the three things in particular they agreed they got right. With interviews from music celebs like Tom Petty, Stevie Nicks and Patti Smith, Callif stressed the importance of tailoring and streamlining release forms. Boilerplate releases include all possible uses of the footage you are capturing, and this project just didn’t need that. Her advice: only include what you actually need in order to release your particular project. It minimizes pushback and makes it as easy as possible for subjects to say yes. The same went for Dre and Iovene themselves, the stars of the show. Pray recognized the importance of their perspectives during the approval process. “You hear three different people tell the same story and you end up with three different stories.” There was definitely give-and-take along the way, but Pray was able to maintain boundaries. These adjustments were conversations—not hands-on tweaks in the editing room. Not that some creative workarounds couldn’t be discovered. Gregson and Pray groaned over the time and energy that went into getting the rights for a BBC-owned clip of the Empire State building. They ultimately couldn’t afford the shot, so Pray got a buddy in New York to recreate it. Pray commented on the variety of licensors, pointing out that, “You’re dealing with huge corporations—MTV and music studios—and then one guy with a photo from 1980.” The relationships and human-to-human interactions were vital to nailing down legal agreements. Buy in Bulk. Gregson pointed out that since they were licensing a large volume of material from a single source (like a music studio) they were able to make use of the sliding scale and get the lowest rate. Distribution Model. Studios show no preference in how they price material for documentaries versus narrative films, but theatrical releases are always costlier than TV. Considering these varying rates can lead to a lot of quality time with your budget as you calculate how you can afford to release your project. The Power of Silence. Gallaher reached out to an individual with a photo he wanted, and the price stated was too high. Gallagher simply moved on, ignoring the repeated calls and emails of the photo owner. Eventually, the man had renegotiated with himself to the point that he agreed to Gallagher’s initial offer without any effort from Gallagher.